Given that the OCC AGM is taking place in Wales shortly after the Brexit deadline, the Board and Committee have examined potential ramifications. 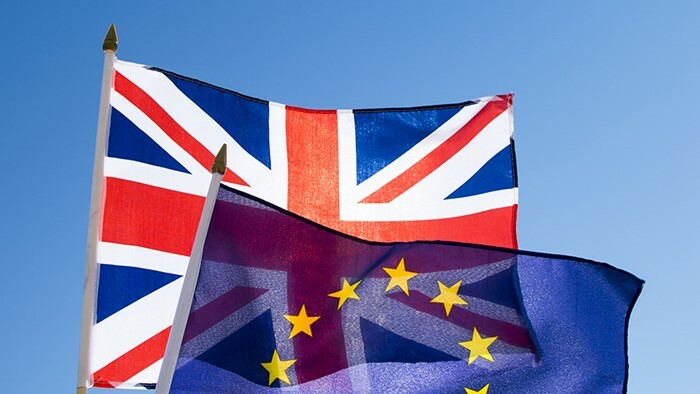 The Board and General Committee of the Club have been monitoring developments concerning Brexit, particularly in view of the fact that the 2019 AGM will be taking place over the weekend of 5-7 April, which is just a week after the UK is currently set to leave the EU on 29 March. Those of our members who are intending to travel from outside the UK to attend the AGM in Wales are going to be understandably concerned about potential travel disruption at that time. The Board wants to explain its understanding of those implications but needs to make it very clear that it is impossible to give advice that can be relied on by our members, given the complete lack of certainty and clarity surrounding anything concerning Brexit! It currently seems that there are three potential Brexit outcomes: the UK leaves on 29 March with a withdrawal agreement in place; the UK leaves on that date without an agreement in place; Brexit is deferred or cancelled. There seems to be no concrete official advice for travellers from either the EU or the UK authorities. However, it would appear that it would only be in the case of the UK’s departing from the EU on 29 March with no agreement in place, that travel might be badly affected. In respect of that scenario, the EU Commission has confirmed that flight regulations will remain unchanged in the short term. The UK Goverment has confirmed that the common travel area between the UK and Ireland will be unaffected and, in the absence of any confirmation to the contrary, it is assumed that the UK will not change current visa-free passport or ID card requirements for visitors from elsewhere in the EU or beyond. Given those assumptions, it seems reasonable to hope that at least air travel into the UK by members who are EU nationals should be largely unaffected around the time of the AGM even under a “no-deal” Brexit scenario. It is probable, though, that UK nationals who are only returning to the UK for the AGM from elsewhere in the EU, may need to comply with the Schengen Area passport and visa requirements on returning to the EU. How ferry travel will be affected in a “no-deal” Brexit scenario, is a much greater cause for concern, because of the possibility of freight transport into or out of the UK clogging the ferry ports. EU national members visiting by boat should hopefully be unaffected. Passport/visa requirements will probably not change as explained above. The EU VAT status of their vessel should be unaffected by their visit to the UK and, at worst, UK VAT should only become payable if their stay in UK waters extends beyond 18 months. The Board therefore remains optimistic that travel for those attending the AGM should be largely unaffected in most cases under most Brexit scenarios. However, our members are by definition seasoned travellers and the Board knows that you will understand that you will need to make your own assessments. The Board has also been monitoring the wider Brexit implications for the internal arrangements within the Club as a UK-registered organisation. It currently believes that the impact will be limited and is confident that any necessary changes will be possible without significant cost or disruption.